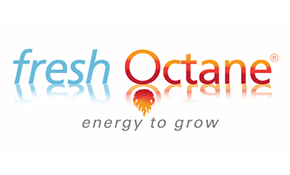 Fresh Octane® Energy to Grow™: It’s time to plant the seeds of renewed prosperity on behalf of American Business. NeuVision Group and Alpha Board are proud to announce the Fresh Octane Tour to showcase great businesses that are truly committed to leadership, innovation and progress. The tour will highlight business leaders and leading businesses across America who will be driving business growth in the months and years to come. We’re searching for some of America’s best and brightest to feature in our Fresh Octane Business Leadership Tour. We are seeking leaders, products, services and companies that will be driving business forward, despite the conditions around them. We’re also looking for leaders who are seeking new energy and a nice boost in the marketplace. If you fit any of these criteria, we’d love to hear from you. The Fresh Octane mandate is to drive bold, repeatable marketplace visibility. This visibility is designed to translate into new business leads. We’re using a powerful new platform to help leaders consistently light up the market using proven, unique and highly effective systems. Our programs are designed to help innovators reach the most active market influencers with their business stories. As a result, companies will have the opportunity to expand their reach, reputations and revenue in the marketplace as their individual stories capture the attention of market influencers, new prospects and customers. “We believe those who do achieve success must be celebrated. One of the greatest gifts we can provide to business-focused cities, companies, leaders and innovators is visibility. Staples often refers to their ‘easy’ button, providing convenience for office supply shoppers. We have established the Alpha Board and Fresh Octane platforms as a ‘start’ button for leaders to push if they need marketplace attention to jump-start new sources of growth,” says Dave E. Anderson, President and Founder of NeuVision Group. 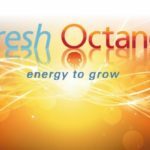 The Fresh Octane® process follows unique, proven market practices we’ve deployed and refined for over two decades to grow marketplace support and enhance customer adoption rates. We’ve used this approach to launch and grow more than a billion dollars in new product sales. We now have the added enhancements of state of the art viral market tools that were not available even five years ago. We’re now making this system available to CEOs, business owners, and executive business advisers through Alpha® Board. 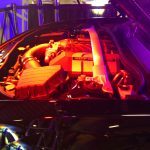 “The momentum created by Alpha Board and Fresh Octane is designed to provide a readily available source of market horsepower for participants to tap into when they need a powerful marketplace voice to jumpstart growth. Have you ever sat at your desk wondering how to quickly and easily light up the marketplace with your business story? I have. The program is designed to “give leaders that power,” says Mark Makovec, VP of Business Development with Borns Group, a NeuVision Group market partner. Among leading CEOs, 95 percent say that closer communication with customers and the marketplace is their number one goal over the next five years. A majority also know your methods need to be innovative to break through the market clutter with your story. Fresh Octane will drastically improve your odds of getting noticed by the people who matter. We are currently starting tour plans across the Midwest. If you are reading this, there is a chance you may be on our radar. For more information, you may call Dan Vasey at our Denver office at 303 255-1742 or email him at Dan@NeuVision.com. Or you can also reach me, Dave Anderson, in Kansas City at 913 685-4850, in Minneapolis at 612 810-4000 or via email at Dave@NeuVision.com. NeuVision Group helps leaders, companies and new product teams manage the risk and maximize the opportunities associated with new products, new companies, and major new growth initiatives. Clients have ranged from the most innovative new ventures to many of the world’s most respected companies and brands. NeuVision Group, its president and founder Dave E. Anderson, and NeuVision Group’s sister company, Alpha Scouts®, have worked with companies like Pfizer, 3M, IBM, Dell, Microsoft, Toshiba, Hewlett-Packard, Seagate, Iomega, Caterpillar, Monsanto, Deere, CNH, MarketWatch, and many more. 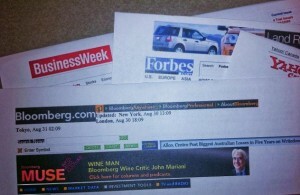 Our previous Business Drive Time® efforts, which served as a market test for Alpha Board and Fresh Octane, received national and international attention, and were recognized by major media outlets such as BusinessWeek, Forbes, CNBC, MSNBC, Reuters, Bloomberg, MarketWatch, EuroInvestor and more. 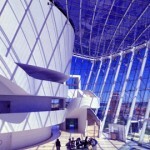 For more information NeuVision® Group visit us on the web at www.NeuVision.com. Alpha Board is an executive initiative designed to further the cause of great business leaders and the companies they represent. As a “National Business Leadership Roundtable™,” Alpha Board is designed for the benefit of growing companies, their senior executives, their new product programs, their trusted advisors, and marketplace partners. Alpha Board is available to “Alpha Grade” business leaders throughout industry. Alpha Board programs include keynote speakers, executive interviews, corporate profiles, leader roundtable discussions, news stories, and live open-house events for businesses. While relatively new, Alpha Board has team leaders in each of three initial high-growth regions working on an ongoing series of tours that will reach leading companies throughout the business community. Alpha Board provides the opportunity for enhanced reach, reputation, and revenue for the companies involved in the program, locally, regionally, and nationally. More information on Alpha Board and the Fresh Octane® Tour can be found on the web at www.AlphaBoard.com. Alpha® Board leverages unique, proven techniques to help leaders consistently achieve enhanced visibility and broader marketplace support. One of the most critical success factors is not just how many people you reach, but who you connect with. Prospects can be finicky. But, if you consistently impress key respected influencers, you ultimately convince the others. Alpha Board and Fresh Octane are designed to make it easy to be seen in the right places. We provide an innovative market platform, distinctive stories, influencer access, and an organizational commitment to consistently gain visibility. The late David Thomson, former author, speaker and McKinsey & Co. consultant, devoted an entire chapter of his book Blueprint to a Billion to the concept of inside/outside leadership. His point is that for the best and brightest to win in the marketplace, you must devote extensive, focused leadership internally, but also have a healthy dose of power and energy devoted to external market visibility. Alpha Board and Fresh Octane are the how, but why? The best indication of why you need to devote resources to outside leadership and visibility is this. More than 80 percent of significant purchase decisions, business transactions, and marketplace reputations are influenced by outside references and internet research. You need a team with the expertise to influence the marketplace on your behalf. Our job is to help you gain the maximum level of market exposure while respecting your need to go about your daily responsibilities. Through our team, our firms, and our career experience, we’ve worked with dozens of companies and senior leaders ranging from the venture company around the corner to highly respected, Fortune 50 level global leaders. Our team members have achieved coverage and/or been quoted in many of the most prestigious business and general news media outlets in the U.S., as well as receiving extensive coverage around the world. Just like investing in stocks, past performance is not an official indication of future performance. However we understand how to efficiently and effectively deliver profitable, measurable market results. Welcome to Alpha® Board and the Fresh Octane® Tour. NeuVision, Alpha, Alpha Scouts, Fresh Octane and Business Drive Time are all registered trademarks of Dave E. Anderson. 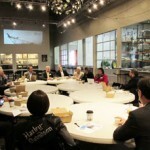 Cities of Innovation Tour and National Business Leadership Roundtable are trademarks of Dave E. Anderson. ©Copyright 2008-2018 NeuVision Group. All Rights Reserved.